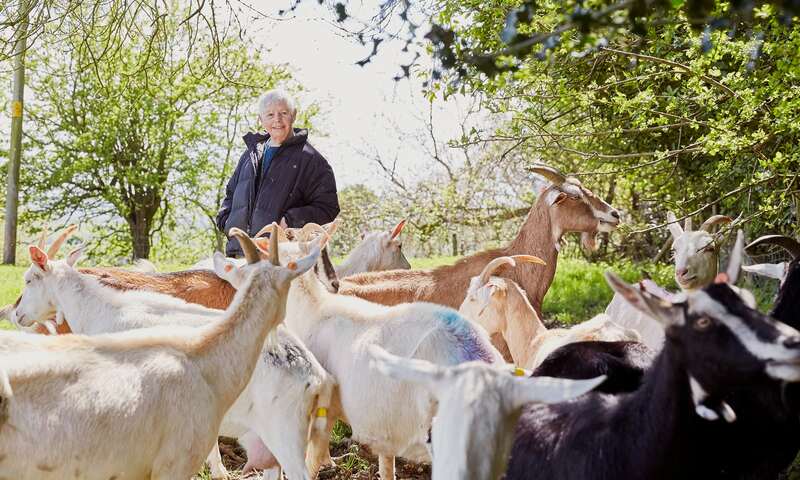 There is a bit of a list of things that get Mary Holbrook’s goat: the government, Brexit, country fields full of solar panels, homogenous executive housing estates, people asking about pioneering cheesemaking and her hallowed place in British dairy history. Holbrook knows about history. She did a PhD in ancient history and archeology and, before cheese became her life, catalogued early scientific instruments in Hamburg in Germany and worked as a curator at a museum in Bath. Her husband, John, was a professor of biochemistry at Bristol University. She was never your typical cheesemaker, but for my money she is Britain’s best. What Mary has forgotten about cheese is more than most people will ever know. She wasn’t alone. French farmers were going through an artisan cheese revival and their influence was spreading. Since around the time John died in 2002, Holbrook has spent a few days a week in Bethnal Green, east London. One week she’ll bring up cheese to Neal’s Yard Dairy in Bermondsey. Currently Holbrook makes four cheeses: young, fresh Sleightlett, Tymsboro, Cardo and Old Ford, a hard goat’s cheese, made when there’s enough milk and she’s inclined.